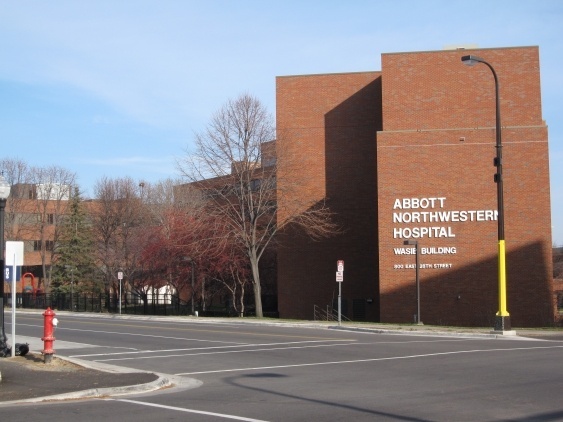 Abbott Northwestern Hospital (ANWH) is the largest private hospital in the Twin Cities area, serving more than 200,000 patients and their families each year. ANWH wanted to elevate their facilities, starting with efficiency improvements to the heating and cooling systems at the Heart Hospital and Main Hospital. They reached out for HGA’s help in obtaining immediate energy savings for the 2016 cooling season, as well as implementing long-term optimization strategies. HGA spent time on-site observing the existing equipment in operation, where we discovered the chiller impellers were replaced in a recent overhaul, but the control parameters were never updated. We devised a two-phase plan that combined short-term energy savings and long-term equipment performance to help ANWH achieve optimal performance. In Phase 1, HGA implemented several critical improvements to the existing system, while preparing the plants for long-term optimization. In Phase 2, the team set parameters that allow equipment to operate as designed while setting control strategies and setpoint equations to reduce overall plant energy consumption. The controls operate without need for intervention and operators can see the targeted setpoints. Equipment can be taken out of service or lead equipment selected by the operators and the system can run the equipment in efficient combinations. This hybridized variable flow pumping system uses constant speed primary pumps while achieving performance that rivals that of using a combination of variable primary pumping. When construction is complete, the cooling towers will be fully automated. • Estimated annual savings of 570,000 kWh, which is an 11% savings in central plant energy use. • Zero operator intervention required. • Will save approximately 82,000 gallons of water per year. • Utility savings are estimated to be approximately $50,000 per year.